In this workshop, the Portuguese artist Catarina Simão shares her experience as a practitioner working with archives, which involves discovering and recontextualising materials as a means of exploring and reimagining history. Simão examines how archival research, often focused on colonial heritage and legacy, can expose aspects of the world beyond established impressions of historical events. She also explores the concept of indexes, which are shortcuts to larger caches of information, but also represent detachment between a word and the universe the word evokes. The session is addressed to anyone interested in research as a tool for experimentation in the fields of art, creative writing or pedagogy. Middlesbrough Institute of Modern Art present two films from the Portuguese artist Catarina Simão’s ‘Mozambique Archive’ series as part of Northern Film & Media’s FILM CLUB, a programme supported by Arts Council England. The screenings will be followed by a discussion between Simão and Senior Curator Miguel Amado. 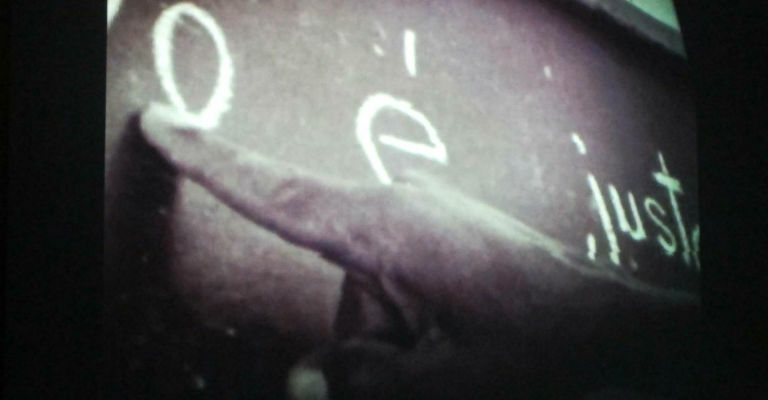 Mueda 1979 (2013) is a video analysing a sequence from the 1979 film Mueda, Memória e Massacre. This film, directed by Ruy Guerra, is based on a popular play re-enacting the events that led to a massacre of six hundred people in the village of Mueda, Mozambique, by Portuguese colonial forces in 1960. Simão interrupts, repeats and changes the focus of the film, questioning the trustworthiness of a retold story and the rhetorical effect of film language. Effects of Wording (2014) montages archival footage, newspaper extracts and photographs to document an education project entitled ‘The Mozambique Institute’, which existed during the country’s armed struggle for liberation from colonial control. It explores learning in relation to national and cultural identity, and balances the notion of archives as historical record with their potential to be decontextualised and made unreliable.